I don’t post often, but I tried for the last 2 weeks for Morris to prove me wrong and it’s getting worst. Morris is no longer intimidating our opponents. He now has to actually do something on the court and has failed miserably. I have put the Jay Crowder stamp on Morris. The last 2 games he has been invisible defensively and offensively he is a half trick pony. Zubac planting him on his behind during a screen last night sums up what has become of Morris. Someone must have called him out on his lackadaisical play after the game. If I can see it, then I know Brad and Ainge can. Semi Ojele can do much more than this guy taking up space at PF. Shame Morris, a shame. Poor baby. He's not having any fun playing for the Celtics. Maybe if he passed the ball once in a while, he would have more fun. He's calling it like it is. Morris has been one of our best, most productive, and easily the MOST consistent players ALL year. We don't win half the games we've won without him. His shooting has been highly impressive and he's not afraid to TAKE big shots. 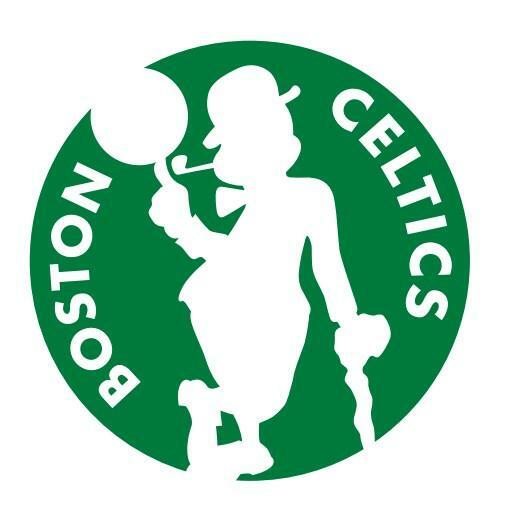 Celtics homers just can't admit it when their team is actually vastly overrated by many. Yep! Morris has been the most consistent guy all year. The team is full of drama queens that listen to the hype and don’t check their egos at the door. Morris has turned into a jump shooting chucker because he is allowed to do it without repercussions. He's turned soft like this team. Even Smart knows he had to improve his shooting to stay on the floor. Too much emphasis is placed on shooting 3s. Where are the NBA former coaches or vets kn thei coaching staff to get in these guys butts and tell them about themselves. Do any of these coaches have experience? McCarty kept it real with these players...who is that on this staff? Bring in Thibs to help Stevens. The best players have a right to criticize. Morris is a major reason we lost the last 2 games. You have to be a blind Morris loyalist to excuse his plodding up and down the court. Morris as your PF will win you nothing. It’s plain as day and I’m truly sorry. I disagree. Morris is not our problem. He is a swing who is being asked to be a starting PF on a team that is too small. Morris is what he is. He has been about as good this season as last season, maybe better, and about what he has been his whole career. He has up and down nights, he battles wear and tear injuries, but he puts it out there. There isn't a simple answer to this. Morris was good the first 20-25 games. This new Morris plays tired and acts entitled. Ever since Morris shoved Jaylen he has regressed and Jaylen has been playing with urgency. Morris and Rozier should have been moved at the deadline. With that said, he's not the weakest link. There's no weakest link. Frankly the team as a whole is not playing to its abilities and there's more than just one issue on hand. Defensively he is by far the weakest link. His slow lateral movement and Tyrannosaurus Rex arms aren’t helping him in the least bit. Easier to overlook only if he shoots lights out. He fooled the entire fan base. I’m sorry. Morris is playing PF because Stevens likes to play small ball for long stretches of games and we get killed in the paint and on the boards. We have 4 bigs and too often 2 are always hurt...Horford, Baynes, Theis and Williams. I hate small ball. It makes you less physical and then they turn into a jump shooting team and never set any physical tone in the game. It's good when your shots are falling but it doesn't help when the other team doesn't care, they just pound you. Like I said, we aren't losing games like this because of just one single player. If that's what you took away from watching the last 2 games, then I don't know what to tell you. Yes Morris has struggled, but he's not the only one. In fact, even Brad Stevens has struggled lately if we're being honest.